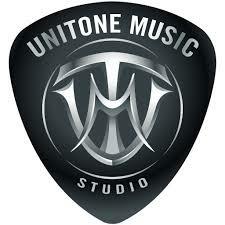 Unitone Music Studio | Campbell - W. G. Fritz Construction, Inc. Exciting Design/Build project in collaboration with the Owner/Operator Siga! Soundproofing walls and doors and completely renovating this space from an old dilapidated water store into a modern showroom and Music Studio offering lessons, studio time and instrument repair. Siga was a pleasure to work with throughout the project! Come check it out in Cambrian Park!